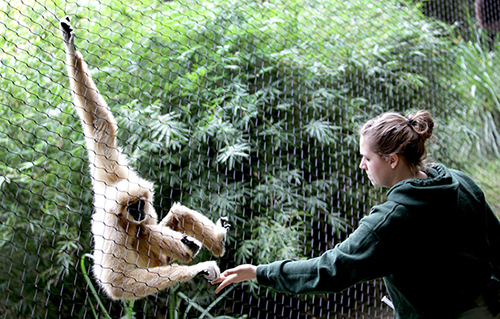 The SF Teaching Zoo is coordinated by eight full time staff members, home to over 75 different species of animals and is maintained by over 200 students enrolled in the college's premier Zoo Animal Technology Program. The zoo showcases a diverse collection that contains both native and exotic species for everyone to enjoy.Visitors enjoy the Bald Eagles, White-throated Capuchin monkeys, Galapagos tortoises, Matschie's Tree Kangaroo and Asian small-clawed otters to name a few. These species and many other mammals, birds, reptiles and amphibians are on display in a naturally shaded environment. The 1/4 mile trail through the wooded environment is lined with sawdust and is stroller and/or wheelchair accessible.